With nearly 2 decades experience, DC Electrical supply domestic electrical services to everyone across Roundhay & Gledhow (LS8). Our industry skills and knowledge are unbeatable and no matter what electrical service you require, we guarantee you top quality materials, excellent workmanship and fully certified work. We are proud of our customer centred service, and all this begins with a visit to your property, a chat about the work you require doing and a free estimate on that work. We always listen to your exact specifications and provide a bespoke service. 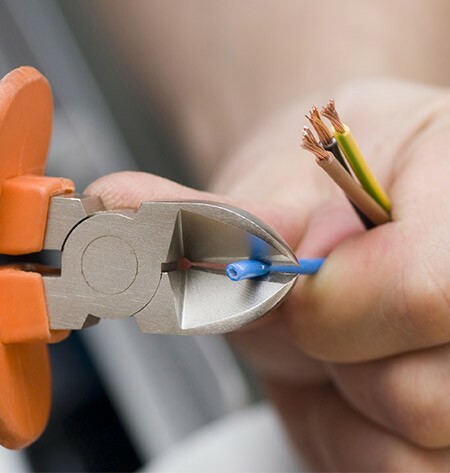 Our fully trained and professional electricians in Roundhay, Gledhow and Oakwood will undertake their work safely and skilfully, with as little disruption as possible to you, your family and your home, so you are promised a hassle free service. Our reputation precedes us, and we are NICEIC accredited, meaning we work to top IEE safety codes of practice. We’re also Part P registered, which means our fully guaranteed electrical work is carried out to the highest professional standards, which are independently verified by the Government Approved body. Get in touch now by calling us on 0113 370 9015.